God bless Cisco. Appealing to the egotistical retweet-me-please instinct of social media, their new rich media ads on sites such as BusinessWeek.com invite you to upload your photo and become a thought-leading guru. Then email it to your friends. Or post it on your blog. And, what was that Cisco campaign about? Something about collaboration ready mid-sized networks? Doesn’t matter. Cause it’s now about us, Cisco, your guru. But enough about us, what do you think about us? Cisco who? Whoops, did we say that? Let’s review the data. 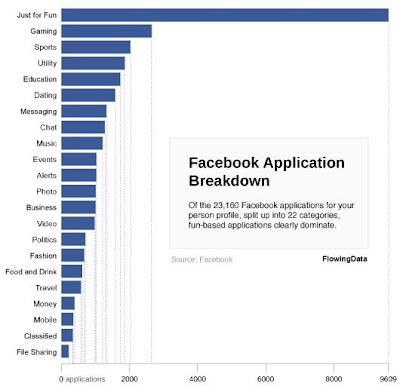 A new report from Flowing Data found nearly half of 23,160 Facebook apps fall into a “just for fun” category — meaning users play with the apps with scant focus on the marketing message. We promise. We won’t say we told you so. Widget applications actually have uses for branding and for extending a web presence far beyond the walls of your site. Brilliant creative and originality inside a widget can help a message get through. For certain uses, such as searching for mortgage rates, a mini-app makes a lot of sense. But it’s worth remembering amid all the hyperbole, silliness still rules. Thanks, Steve. 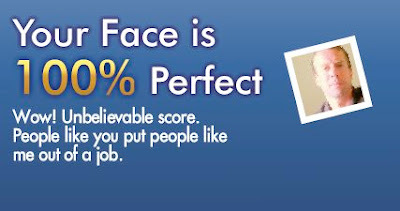 We just found out that our face is 100% perfect. 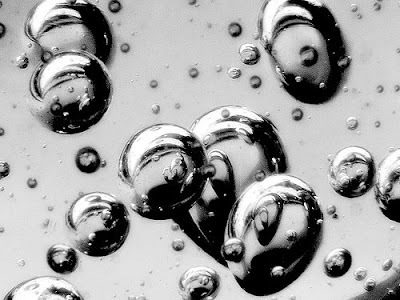 Which makes sense, if thinning hair, 40something wrinkles, sweaty pores and crooked ears are ideal. But thanks, Nip/Tuck, for the pick-me-up. The Nip/Tuck widget that told us so is a good example of how to build a viral app. We wrote a while back that most widgets don’t work, because the mini-web applications getting passed around in social space hit consumers when they aren’t paying attention to the marketing message. (Tossing sheep does not an ad response make.) Many, many companies are launching widgets in the hope to engage consumers and to go viral, but successful transmission is hard to manage. Only a fraction of all widgets make it big, so those remaining have to work on their own merits — do they build brand awareness and do they drive an acceptable response rate? + The app engages users in the core brand … cosmetic entertainment? + Even if the app doesn’t go viral to reach millions, we bet it would drive an acceptable response rate of new viewers to the show. Nip/Tuck obviously got this right and … hey, wait a second. What if the marketers behind Nip/Tuck read our BusinessWeek column that widgets don’t work, so tracked us down and loaded the app to tell us we’re 100% beautiful? Maybe this is part of a secret drive to convince bloggers to write about Nip/Tuck. Nip/Tuck. Tuesdays 10 p.m. on FX. Naw … that wouldn’t work at all. The more we think about the Google Visual Inventory problem, the more we realize it threatens all internet advertisers. It’s simple. As consumers shift to mobile devices, interface screens get smaller — leaving less visible room for ads. Google, and other advertisers, run out of visual inventory. 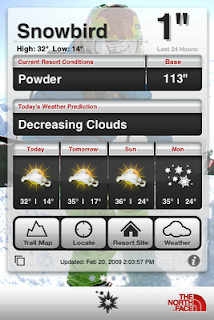 Ad inventory is the bread-and-butter of making money online; it is why it takes you three clicks, through three screens, to find local weather information at weather.com. More visible real estate = more ad space to sell = more revenue, so sites like weather.com have an incentive to push each user through large, multiple screens of data. 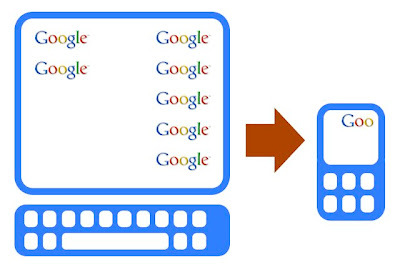 Today Google crams nine or more ads from search results on a PC screen. Alas, only one ad will fit on most mobile phones. As millions of consumers adopt mobile internet in the next few years, Google and advertisers will have a hard time finding shelf space. Ouch. Less ad space. Less-attentive audience. Consumers doing something other than listening, and consumers more than willing to block out your peripheral pitch. GVI is more than a physical screen problem; it’s a metaphor for the new mindset of the MySpace generation who are crowding out ad messages with their own portals to private communications. Egad, marketers — suddenly logos on cotton T-shirts are looking fine. Hmm. Maybe that industry association should start posting whitepapers.